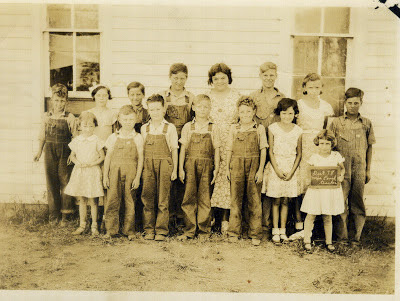 Back Row: Dean Bivens, Mildred Drier, Russell Arbuck, Clyde Arbuck, Ilah Couch(Teacher), John Geiger, Mary Lucille Petersen and Arnold Geiger. 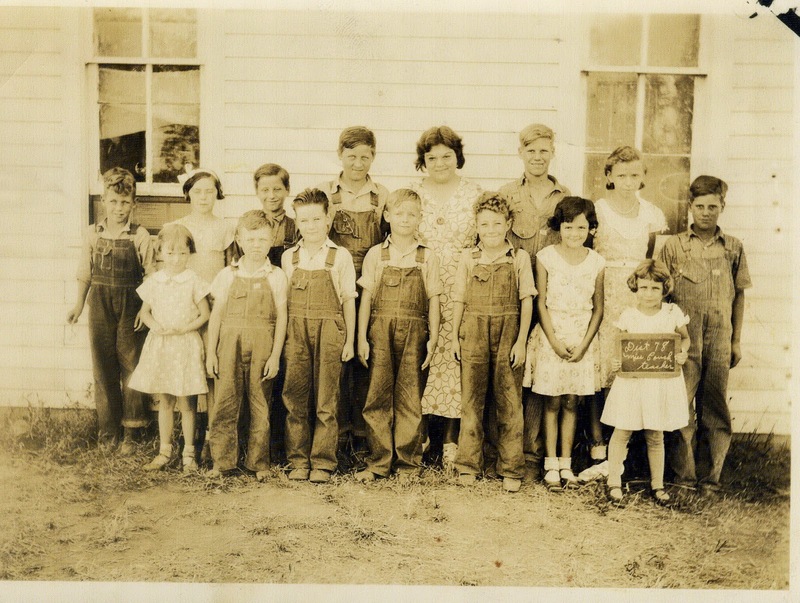 Front Row: Eleanor Petersen, Leslie Plock, Kenneth Taylor, Dale Creech, Boyd Bivens, Jean Woods and Donna Bivens. She also at Dist 91 and was the Principal at EHS for several years during the 1950s.